Japan’s Self Defense Force on Wednesday, April 10 confirmed that a missing F-35 stealth fighter jet had crashed into the sea, public broadcaster NHK reported. Wreckage from the jet’s tail was found and recovered from the sea late on Tuesday night, and the Japan Air Self-Defense Force concluded that the aircraft had crashed. The cause of the crash is not yet known, and the pilot has not yet been found. The Self-Defense Force and Coastguard dispatched vessels to carry out search and rescue operations after the single-seat F-35A disappeared from radar while training over the Pacific Ocean east of Japan at around 7:30 p.m (1130 GMT) on Tuesday. The pilot was conducting an anti-fighter combat training mission with three other F-35 jets when contact was lost around 135 km (84 miles) east of its base at Misawa in Aomori Prefecture in northeastern Japan. Confirming the plane had likely crashed, Defense Minister Takeshi Iwaya told reporters on Wednesday morning that the pilot had signalled that he needed to abort the training mission shortly before communication was lost and the aircraft disappeared from radar. Iwaya said the U.S. military was assisting with the search. A JASDF spokesperson said the crashed aircraft was less than a year old and was delivered in May 2018, Reuters reported. Identified by the JASDF as serial number 79-8705, it was the first F-35A assembled by Mitsubishi in Nagoya, Japan, Defense News reported. Japan plans to deploy a total of 105 F-35A conventional takeoff and landing jets and 42 of the F-35B short take-off and vertical landing variant. Japan is not purchasing the catapult-assisted take-off but arrested recovery F-35C variant designed for the U.S. Navy’s aircraft carriers. The first Japanese F-35A fighter squadron based at Misawa became operational in late March. Iwaya said on Tuesday that the remaining 12 F-35As deployed to Misawa were grounded. Another recently assembled aircraft still at Mitsubishi’s Nagoya facility has also been grounded. The crash is the first for the F-35A variant, but the second F-35 crash in seven months. A U.S. Marine Corps F-35B was completely destroyed in a crash during training near Beaufort in South Carolina on September 28. The pilot safely ejected. With a development program beginning in the early 1990s, the F-35 Lightning II Joint Strike Fighter is considered the most expensive weapons system in U.S. history, with an estimated cost of some $400 billion and a goal to produce 2,500 aircraft in the coming years. But, once servicing and maintenance costs are factored in over the aircraft’s lifespan through 2070, overall F-35 program costs are expected to rise to $1.5 trillion. 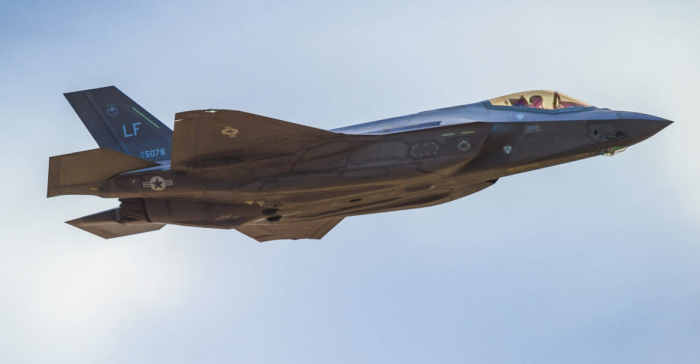 Proponents tout the F-35’s stealth technology, supersonic speeds, close air support capabilities, airborne agility and a massive array of sensors giving pilots unparalleled access to information. But the program has faced numerous delays, cost overruns and setbacks, including a mysterious engine fire in 2014 that led commanders to temporarily ground the planes.